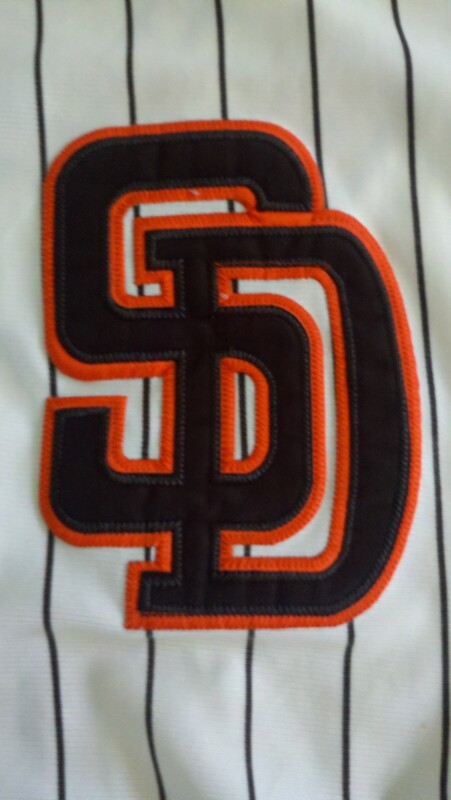 Tonight, the Padres will where the uniform you see above. 80’s night, baby. 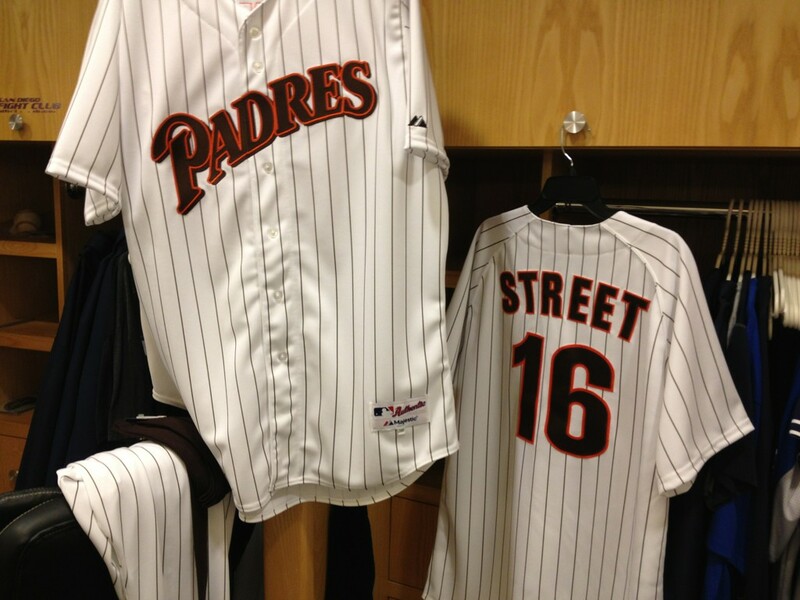 Padres President Tom Garfinkel tweeted out that photo and I smiled. 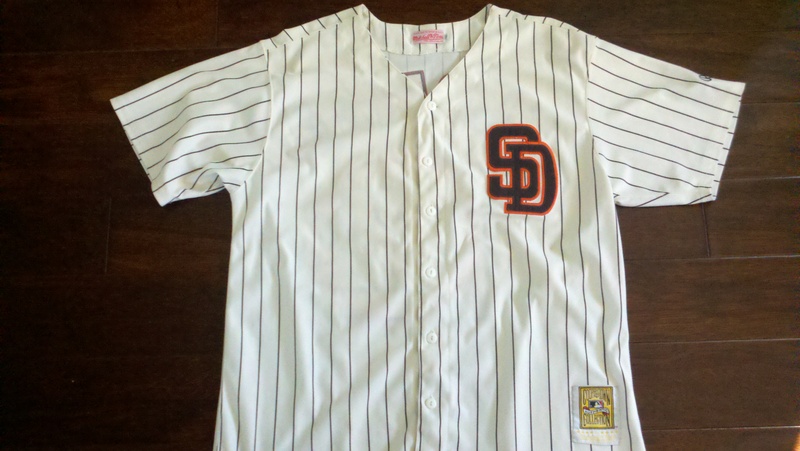 As a huge supporter of the the Padres brown, I have been searched on eBay for years for a nice authentic Padres jersey from the 1985-1989 era. 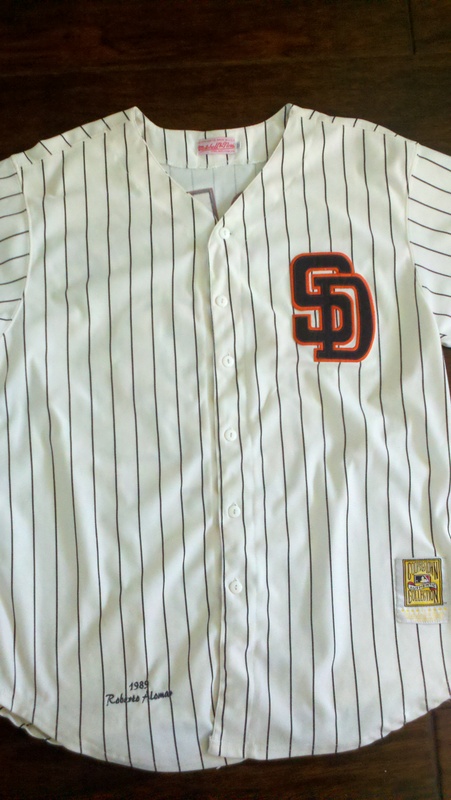 Old school Padres fans know that era as the ‘brown stripe era’. 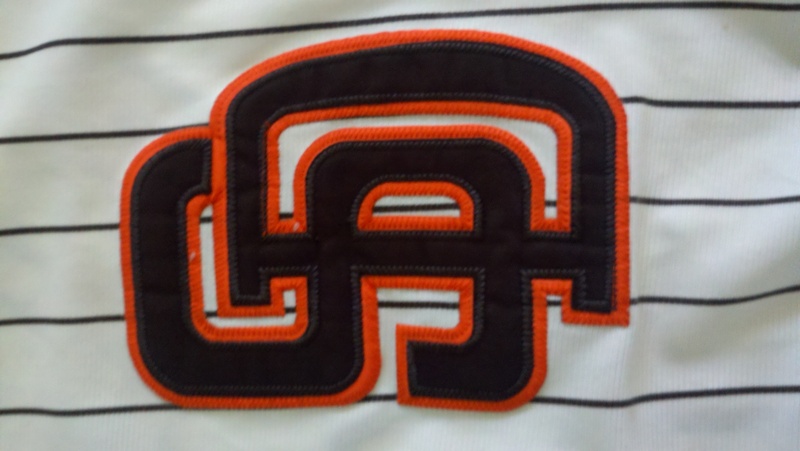 You see the blue stripes all over the place when you hit up a game at Petco Park. The brown stripes? Not so much. 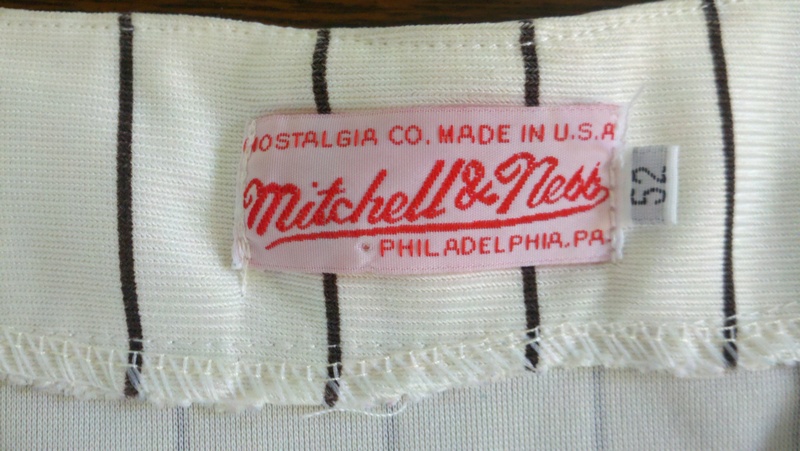 Aside from the pre-1980 jerseys, I’d say they are the most rare. 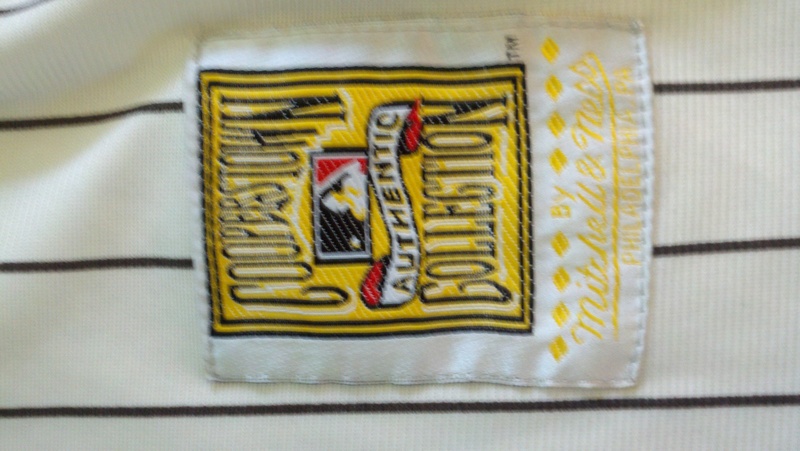 I had one rule: I would not spend over $100 for this brown stripe jersey. Literally, 3 years periodically checked eBay, and I found nothing that looked legitimate. 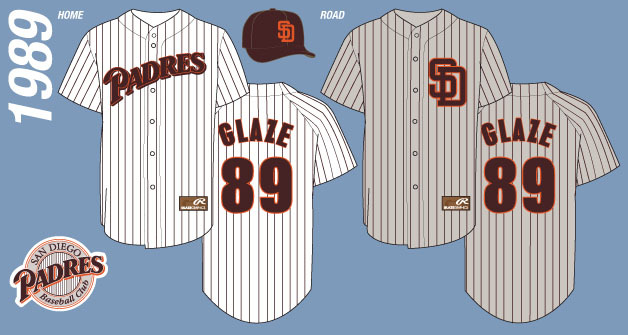 It should have been that darker grayish color of the ‘away’ jersey, right? Weird. 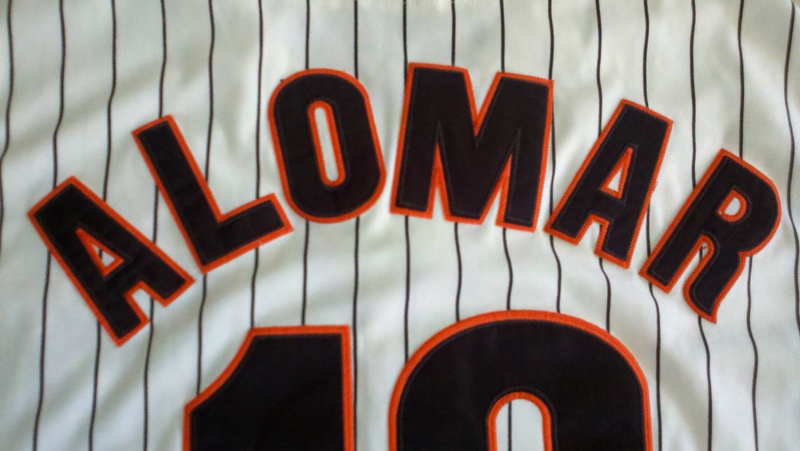 I had checked the jersey and it seemed pretty legit. 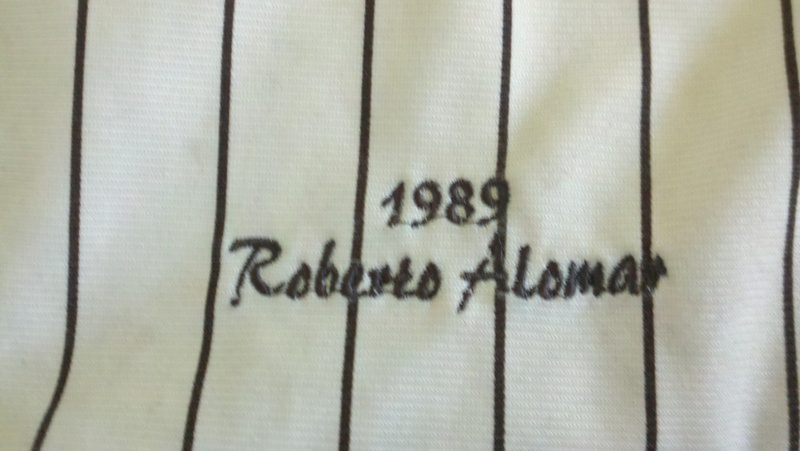 I remembered seeing the standard “Rawlings” logo on the side when I bought it… you know the one. Then I looked down at the sleeve. 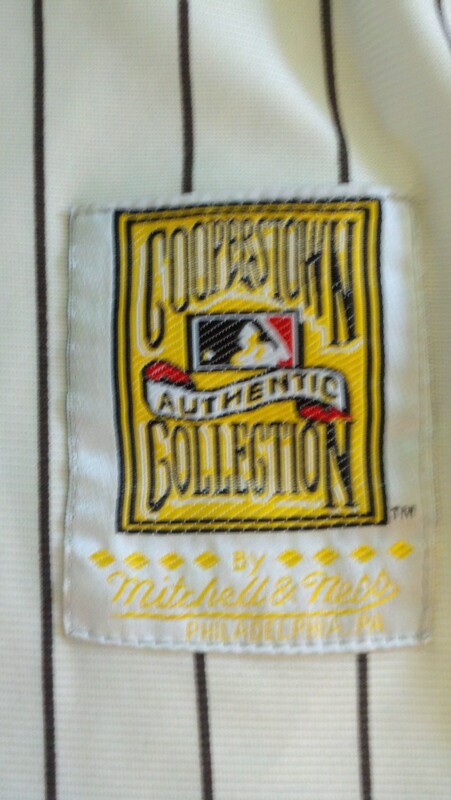 That’s when I saw how “authentic” my jersey was. Sing it with me now. LET’S GO RADRES!!!! clap-clap…clap-clap-clap LET’S GO RADRES!!!! 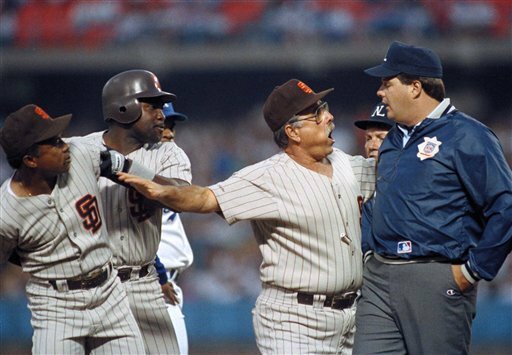 Sunuva… it was half Rawlings, half Padres…and there ya have it. 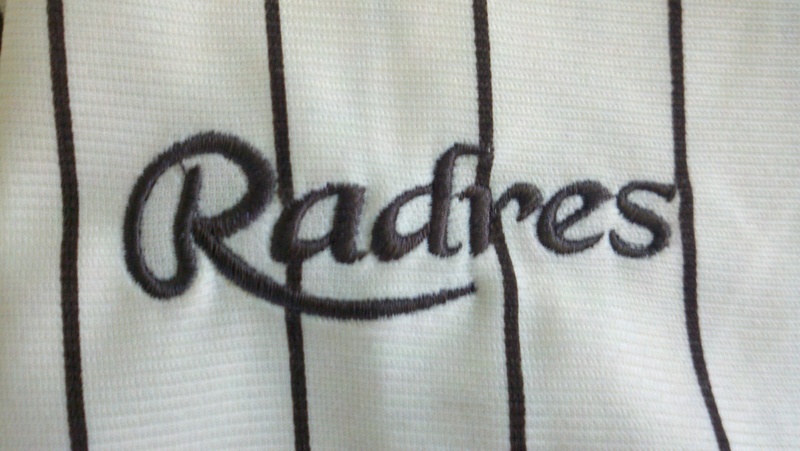 This entry was posted in Baseball, MLB and tagged fake padres jersey, let's go radres!, Padres, padres 80s jersey, radres, radres baseball, rawling padres jersey, rawlings logo. Bookmark the permalink.